The SK-3 offers an extraordinary blend of superb touch and tone that is admired by professional pianists across the globe. Visit our showroom now and take the opportunity to see and hear this piano. It’s an absolute delight to play! Owners of Shigeru Kawai pianos will receive an extraordinary visit from one of Kawai’s elite Master Piano Artisans within the first year of ownership. 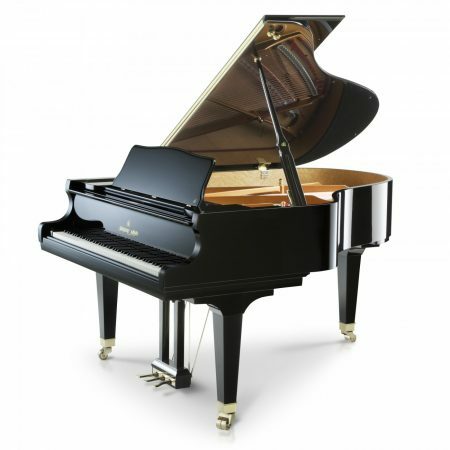 During this visit, the owner of one of these rare pianos will receive a complete concert-level regulation, voicing and tuning as Kawai’s gift to those who have selected the Premier Piano of Japan. The custom-tapered soundboard in a Shigeru piano is made exclusively from the finest spruce. Each soundboard is aged using the traditional kigarashi process, which uses only the forces of time and nature to allow the wood to attain a state of natural balance. The rich tonal quality of Shigeru pianos is derived from this lengthy and painstaking process. Shiko Seion hammers are meticulously hand-pressed without the application of heat and carefully voiced without artificial hardeners to ensure outstanding dynamic response and expression. Our Master Piano Artisans oversee their formation from beginning to end. A blend of distinctive hardwoods is used to achieve an ideal balance of tone. The synergy of structurally divergent hardwoods produces a powerful, well-rounded richness of tone that is the hallmark of the Shigeru piano.